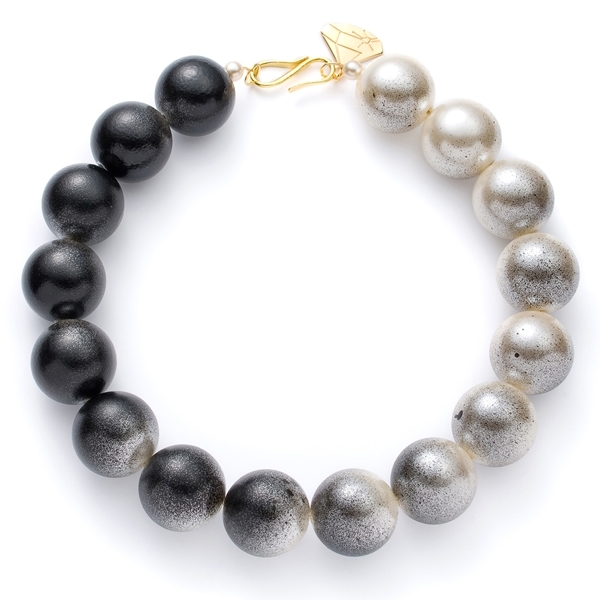 Cool and edgy but still feminine, this chunky black and grey pearl choker is sure to get you noticed! 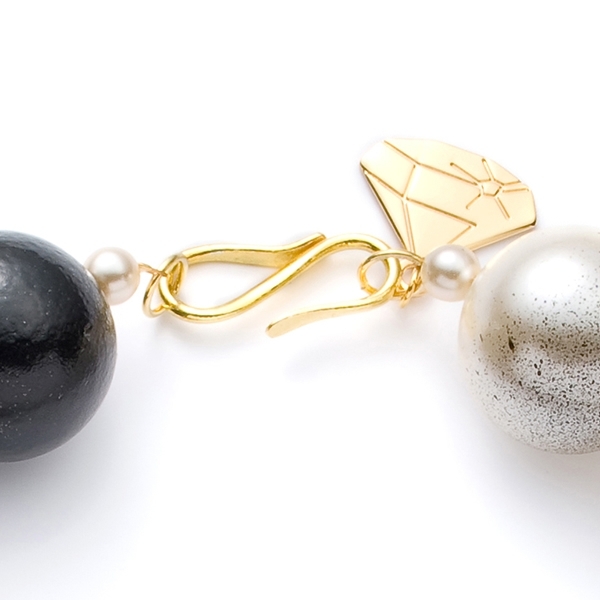 A simple gold vermeil fastening with Gemma Lister's diamond motif at the back finishes it off beautifully. Stunning with a crisp white shirt or equally perfect with an LBD! Measuring 45cm from end to end and the pearls are 2.5cm in diameter. Match with Chunky Pearl bracelet for effortless glamour!